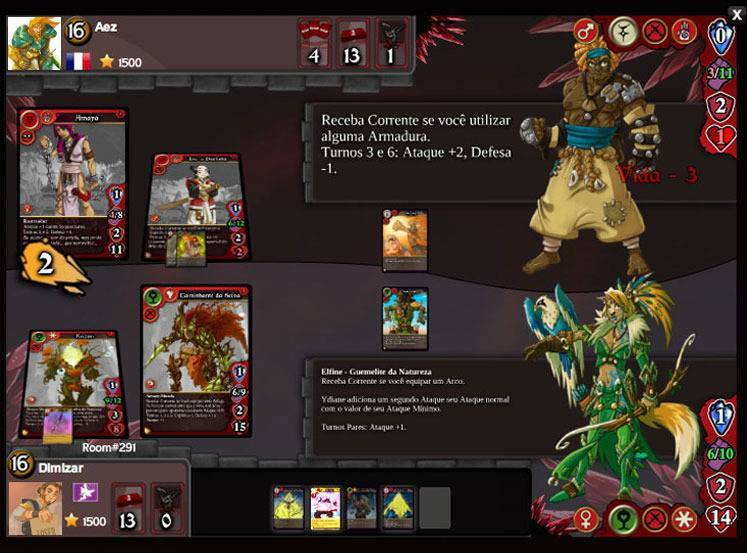 Eredan iTCG in an online trading card game set in an original medieval fantasy universe where players will use a deck of characters to fight against npc or others real players. With more than 1500 cards, Items and new content at your disposal every week, strategic possibilities are infinite. Choose your Guild, your fighters, your spells, create your own unique Deck to surprise the opponent. Adventures in Eredan iTCG are punctuated by numerous modes. Head over to the training room to test your new cards, or fight for personal glory in the Arena or simply challenge the best players through many tournaments and organized events to show your true worth. Eredan give the opportunity to players to form or join a clan. Inside a clan you’ll be able to discuss with your friends and achieve new clan trophies to unlock group bonuses. Each time a clan member earns some experience points by playing games, his clan earns also experience points. Clan trophies allow the members to level-up the clan faster. Each clan level unlocks ameliorations at the store. The Elo system is a system of classification, created for the chess game and invented by Mr. Arpad Elo. In Eredan iTCG, the Elo system allows players to rank them by skill level. Everyone can assess the strength of the other. Just play in the appropriate salons to vary your ELO score. You gain ELO points when you win a game and vice versa. The amounts won or lost depend on the Elo score of the opponent. Eredan features several types of cards. The main types are character cards, action cards, object cards, spell cards, theurgies cards. Character cards form the basis of a deck, since they represent the hero with whom you fight. The characters are characterized by a number of information that determines how they can be played. There are six classes in Eredan: craftsman, berserker, warrior, mage, rogue, and priest. All character cards have at least one evolution. When a character evolves, it changes appearance as well as some of its features or capabilities. Adventure Mode in Eredan iTCG makes you live fabulous stories through campaigns. Each of these campaigns offers one or more tasks or mission that you complete by playing games against the computer. Discover new gameplay and enemies with extraordinary powers and win numerous awards.